KOMATSU is a partner of K.B.O, meaning we can offer our customers a range of cabins for KOMATSU forklifts. 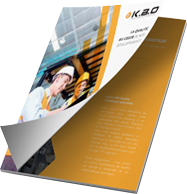 By choosing KBO, you choose quality and expertise. Would you like to find out more about our products for Komatsu forklifts?